Polydrug use involves the consumption of more than one drug at once. Although polysubstance abuse often refers to abuse of multiple illicit drugs, it’s also inclusive of prescription medications used in nonmedical circumstances. In some instances, those on prescription medication may unintentionally combine substances. They may have a few glasses of wine without realizing that their prescription medication should not be mixed with alcohol, or they may be on multiple prescriptions from different doctors, not realizing that these medications interact negatively with one another. As a result, individuals should always inform every doctor of every medication they are taking and confirm that medications don’t interact negatively with each other or alcohol prior to beginning a new prescription. Other people intentionally engage in polysubstance abuse in an effort to experience greater effects from multiple substances. Oftentimes, users may have a preferred substance of abuse that they then combine with other substances at times to enhance the primary substance’s effects. For example, those who regularly abuse opioid drugs, like heroin or prescription painkillers, may sometimes take them with benzodiazepines to experience even greater relaxation or sedative effects. While the combination of certain substances can certainly enhance desired effects of the drugs, polysubstance abuse also enhances the potential negative effects of each drug. According to the University of Michigan, mixing drugs can also bring unpredictable consequences; this means that those who engage in polysubstance abuse cannot predict the array and severity of negative consequences that could result. Increased severity of side effects: All drugs come with the potential for negative side effects. When substances are abused together, the potential severity of these side effects is increased exponentially. It isn’t as simple as adding up the separate effects of each substance; instead, the substances combine to cause addictive effects, and these effects are often unique and more severe than the separate effects of each drug. General side effects from polysubstance abuse may include nausea, vomiting, body pain, balance issues, and changes to heart rate, respiration rate, and blood pressure. Acute health problems: Drug interactions can reduce metabolism, increasing blood concentrations of the substances in question. Per the European Monitoring Centre for Drugs and Drug Addiction (EMCDDA), this boosts toxicity and can produce new metabolites formed from the breakdown of multiple substances. Various diseases and disorders are more common in those who abuse multiple substances. For example, chronic diseases, such as hepatitis C, are often seen in heavy drinkers who inject drugs, and tobacco smokers who use cocaine are more at risk for myocardial infarction, EMCDDA reports. Overdose: While overdose is always a possibility with any kind of substance abuse, its risk is heightened when multiple substances are abused. Since certain substances mask the effects of other substances, users may inadvertently take far higher doses than they normally would because they don’t feel the full effects of one substance. As a result, overdose may occur. With overdose, long-term health effects are always possible, as is death. Complicated treatment: Overdose from multiple substances of abuse is more difficult to treat. While opioid overdose can often be reversed with the prompt use of naloxone, it may not be effective if the overdose is due to other substances of abuse as well, such as benzodiazepines, stimulants, or alcohol. In addition, polysubstance addiction (cross addiction) generally requires more specialized treatment to achieve full recovery. Complications due to co-occurring mental health issues: Those who suffer from cases of co-occurring disorders, when a substance use disorder occurs alongside another mental health disorder, may be more likely to engage in polysubstance abuse. Substance abuse often worsens the symptoms of the mental health disorder, and likewise, the mental health issue can lead to worsened substance abuse. When multiple substances are abused, all these effects are amplified. As with other substances, alcohol is commonly combined with both prescription and illicit drugs in an effort to achieve a “better” or “stronger” high, or in an effort to counteract the effects of certain substances. For example, a person may take a stimulant like cocaine to counteract the depressant qualities of alcohol, allowing the person to drink more for longer periods of time. A University of Michigan study found that reports of prescription drug abuse were 18 times higher in participants who were dependent on alcohol. According to NIDA, simultaneous use of alcohol and prescription drugs can result in alcohol poisoning, blackouts, respiratory depression, and death. Alcohol is often mixed with prescription opiates, such as Vicodin, Percocet, and OxyContin, and it is also commonly combined with stimulants, such as Ritalin, and sedatives or anti-anxiety medications, including Xanax and Valium. It’s also common for people to take sleeping medications with alcohol in an effort to fall asleep even more quickly. Consuming alcohol with prescription medications can lead to dangerous interactions, as certain drugs can alter the effects of alcohol in the body. In some instances, individuals may drink far more due to the interaction of drugs and end up with much higher blood alcohol concentrations as a result. Mixing alcohol and drugs therefore raises the risk of alcohol poisoning and potentially life-threatening consequences. These two substances are commonly combined. When a cocaine user drinks alcohol, the amount of cocaine in their system can increase by 30 percent. A psychoactive metabolite, cocaethylene, is produced that stays in the blood for longer, and heart rate and blood pressure increase, which can lead to cardiovascular problems. A person may also consume more alcohol because cocaine may reduce the perception of alcohol’s effects. Opioids and cocaineThese drugs have opposing effects. The central nervous system is depressed by opioids and stimulated by cocaine. As with cocaine and alcohol, users may attempt to take these substances together in an effort to counteract negative effects of either drug. For example, users may be amped up from cocaine and take opioids in an effort to calm the body and induce sleep. Since these substances can mask the effects of each other, overdose and other potential complications are more likely. All three of these substances are central nervous system depressants. As a result, combining them can quickly result in respiratory depression that can lead to fatal overdose. Restricted oxygen flow to the brain can cause permanent damage and impairment or death. In addition, benzodiazepines are not metabolized as quickly by older drug users, and this increases the risk of respiratory complications. In a 2014 report, the Substance Abuse and Mental Health Services Administration (SAMHSA) stated that close to 1 million emergency department visits from 2005 to 2011 involved benzodiazepines, or a combination of benzodiazepines and alcohol or opioid pain relief medications. They also found a 24-55 percent increase in predicted risk of serious outcomes from combining the drugs compared to using only benzodiazepines. When it comes to fatalities related to benzodiazepine use, they most often occur when the drugs are mixed with other substances of abuse. Though some people believe that prescription drugs are “safer” to abuse than illicit drugs since they are originally prescribed by a doctor, this is not true. Many prescription drugs are not that different in formulation to illicit drugs, and their abuse can result in a range of serious health outcomes, up to and including death. Polysubstance abuse that involves prescription drugs is no less dangerous than such abuse that involves illicit or “street” drugs. This abuse may include combining prescription drugs with alcohol, other prescription drugs, or illicit drugs. Polysubstance abuse that involves any type of prescription drug, even cold and cough medicines, can have severe consequences. The cough suppressant dextromethorphan (DXM) can cause hallucinations at high doses, and promethazine-codeine cough syrup has an antihistamine that induces sedative effects. Per NIDA, these medications are often abused in combination with alcohol or marijuana. Since withdrawal from multiple substances is more complicated than withdrawal from one substance, inpatient medical detox is generally recommended. With medical detox, clients are supervised 24 hours per day by medical professionals. This ensures continual monitoring of vital signs, and prompt action should any medical emergencies occur. In addition, supervising physicians often administer medications to counteract certain withdrawal symptoms, such as anti-nausea medications to deal with vomiting and intestinal upset or antidepressants to address mood fluctuations. In certain instances of substance abuse, long-term maintenance medications may be administered. For example, if a person was regularly abusing prescription painkillers like Vicodin and cocaine, medical staff may administer an opioid replacement medication, such as methadone or buprenorphine, to mitigate the severity of opioid withdrawal. Since cocaine withdrawal symptoms don’t tend to be as intense, the symptoms of cocaine withdrawal may simply be monitored and medicated as needed. In other instances, such as with benzodiazepine withdrawal, a tapering approach may be implemented, in which the dosage of a long-acting benzodiazepine may be slowly lowered over time, gradually easing the client off the drug to lessen the severity of withdrawal. Due to the potential unpredictability of withdrawal from multiple substances, continual medical monitoring is always needed. In addition, the support and encouragement available in medical detox decreases the likelihood of relapse and increases the chances of successful withdrawal from all substances of abuse. While detox is a critical first step in the recovery process, it is not effective treatment on its own. It must be followed by a comprehensive addiction treatment program that primarily includes therapy. In all cases of substance use disorders, including those involving polysubstance abuse, Cognitive Behavioral Therapy (CBT) is often used. This therapy focuses on the behavioral and thought patterns involved in substance abuse, helping to modify thoughts and thereby change behaviors. According to Psychology Today, CBT can be effective in altering destructive behavioral patterns, such as those involved in substance abuse. 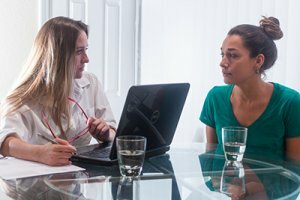 The key with any substance abuse treatment program is that care is tailored to the individual needs of each client. There is no one-size-fits-all solution that will work for everyone. Per NIDA, the most effective treatment programs will customize treatment to address all of the person’s needs, not just those related to their substance abuse. In cases of polysubstance abuse, this entails identifying the reasons that led to the desire to abuse any substance and then dealing with those issues appropriately. Oftentimes, treatment plans will need to be restructured throughout the recovery process. As a person progresses in recovery, various alterations may need to be made, and if a particular therapy isn’t proving effective, a new one can be tried in its place. Any co-occurring mental health issues should be identified early in treatment, often during an initial assessment. This ensures that the entire person will be effectively cared for, rather than just the substance abuse issue. With comprehensive care, those engaging in polysubstance abuse can leave abuse of all substances in their past as they embrace a healthier future in recovery.